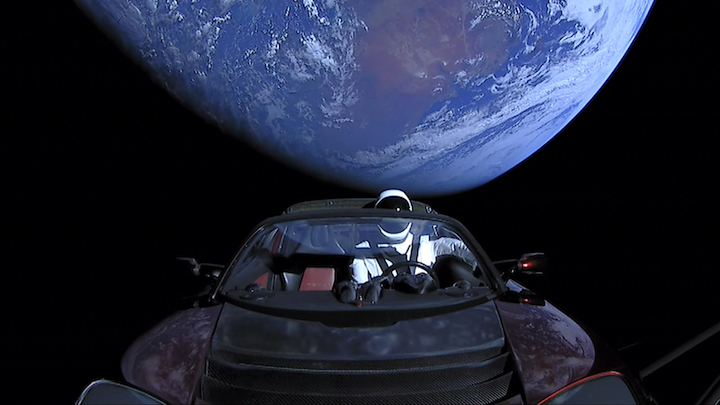 Raumfahrt+Astronomie-Blog von CENAP - Blog: Raumfahrt - SpaceXs Starman Roadster has ventured past Mars Dont expect it to come back home for a while. Starman and its Tesla Roadster are officially a long, long way from home. 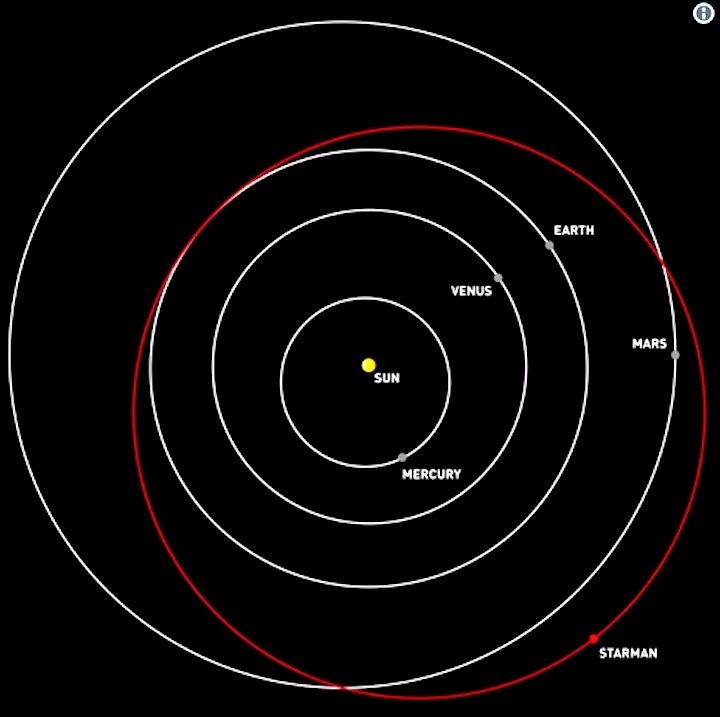 SpaceX has confirmed that Falcon Heavy's test payload has passed Mars' orbit, putting it at one of its greatest distances away from the Sun (it should reach its far point on November 8th at 1.66AU, or 155 million miles). While it isn't about to rendezvous with Mars, this is no mean feat for an EV-toting mannequin. And you might want to remember this moment -- it's going to be a long time before Starman is close to Earth. According to models by Ben Pearson, the spaceborne dummy won't make a close approach to Earth until two years from now on November 4th, 2020, and even then it'll be 0.35AU (32 million miles) away. It'll be much closer to Mars, getting within 0.05AU (4.6 million miles) on October 6th of that year. You may not see a truly close Earth visit until 2091. Short of a purposeful encounter or an unexpected collision, Starman could be quite lonely for thousands or even millions of years. Raumfahrt - SpaceX's Starman Roadster has ventured past Mars Don't expect it to come back home for a while.